It’s the week before Christmas, and my to do list isn’t any shorter than last week. We have meetings, appointments, school stuff, Scout stuff, and I’m trying to figure out how to make it all work. Oh, and I still have to feed my guys and do laundry, but house cleaning may have to wait until next week. 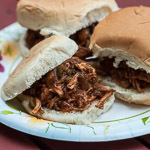 So last week I made two of our favorite slow cooker recipes, which made my hungry guys happy and dinner planning a little easier for me. This one is a riff on Chinese char siu, aka Chinese barbecue, a popular restaurant dish. 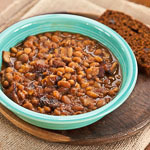 The restaurant version is roasted or grilled, and this simplified version from Cooking Light is done in the slow cooker. The salty-sweet flavor is fantastic, and the juicy meat falls apart when I start shredding. 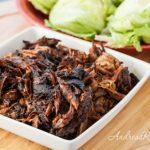 We eat the shredded pork in lettuce wraps with sesame green beans and brown rice on the side. One of the things I like about restaurant char siu is the crusty top, and it’s actually possible to get something close to that in a slow cooker. 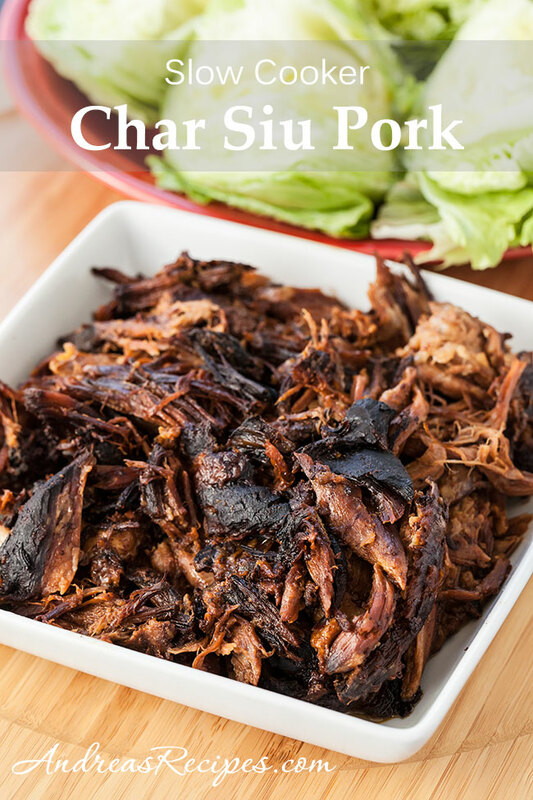 Make sure the pork shoulder has a good coating of the marinade on top of the meat when you start the slow cooker, and don’t brush any of it off or ladle on any of the sauce while cooking. It will stay put and thicken as it cooks, creating a delicious layer of charred goodness. Michael loves those pieces and call dibs on them, but he’ll share with me. MAKE THE MARINADE - Combine all the sauce ingredients in a small bowl, stirring well with a whisk. COOK THE MEAT - Place the trimmed pork in the slow cooker, and pour the marinade over the top slowly, letting it drip down the sides. Leave a good coating of the marinade on top of the meat. Cover and turn on warm for 2 hours. Change heat to low and continue cooking for 8 more hours. 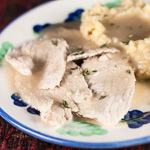 Remove pork from slow cooker using a sturdy slotted spoon and place it on a platter. Cover with aluminum foil to keep warm. If the sauce in the slow cooker has any extra fat, skim it off or pour the sauce through a gravy/fat separator. Transfer the extra sauce to a 2-quart saucepan and add the chicken broth. Cook over low heat until the sauce thickens slightly, about 10 to 15 minutes. Shred the pork with 2 forks, and serve with the sauce. I have made this with an 8-pound pork shoulder in a 6-quart slow cooker, and tripled the sauce ingredients. It worked well. I wrote the instructions based on how I make it. Cooking Light original instructions specify to marinate the meat in a large zip-top plastic bag in the refrigerator. Oh my, this sounds just wonderful! What’s the methodology behind putting the slow cooker on warm for 2 hours before you put it on low? I’ve never seen that technique used in a recipe before. This sounds so good. 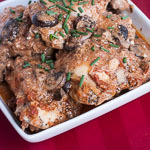 I’m always on the lookout for slow cooker recipes I can start in the morning before work. Hi Delora. It’s a little trick I started using for large pieces of meat that need to warm up a little bit after being in the refrigerator. It marinades at a very low temperature and warms up a bit at the same time.